The architectural detail is stunning in this magnificent 12 bedroom, 5 bath Victorian. Exquisitely restored to its original splendor and is perfect for use as a Single family home with the possibility of a development opportunity for the adjacent commercial lot included in the sale. Features include elegant stairways, elevator, modern kitchen, baths & numerous fireplaces. The original lighting fixtures and beautiful hardwood floors abound throughout the home. Close attention to detail was paid with preserving many of the original fixtures including several ornate chandeliers. Updated 200 amp electric, 11 year old roof & two 11 year old gas heating systems. Interior and exterior security cameras. Currently used as a distinctive & very profitable residence for ladies. Licensed as a 12 bedroom rooming house. 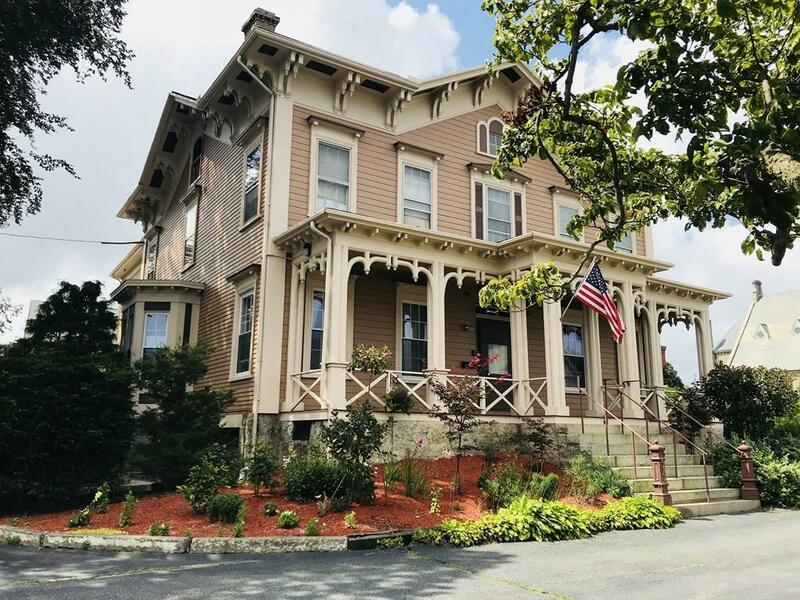 Extremely rare opportunity to own this meticulously cared for Victorian with an attached garage suitable for 2 vehicles, a 1 car detached garage and parking for approximately 25 cars. Listing courtesy of Linda Silveira of Gold Star Realty, Inc.. Disclosures Seller is A Licensed Real Estate Broker. Lot Size includes Adjacent Commercial Lot Which is included With The Sale And Has A Separate Tax Bill Of $3641. Listing provided courtesy of Linda Silveira of Gold Star Realty, Inc..